Chloe believed her day was going just fine, when the voices started pursuing her. She could have sworn that a man who seemed to be melting was following her down the corridor when the teachers confronted her. Why couldn't they see him too? Group homes are for crazy teens. And there is no way that Chloe Saunders is crazy. At least, that is what she tells herself most days. After freaking out at school, though, her only option is to put up with a local group home for troubled teens called, Lyle House. So, Lyle House it is. She only needs to bide her time and act like whatever they give her is working. If only the other teens wouldn't keep pushing her to acknowledge whatever it is that she is seeing. It can't be true what they say...can it? 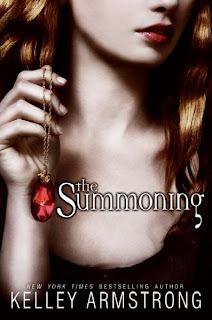 Kelley Armstrong begins her Darkest Power series with The Summoning. The story follows Chloe Saunders as she discovers not only who she is, but what she has been all along. Ms Armstrong really draws the reader in to another world lurking beneath the one everyone else sees. And it may not be all it's cracked up to be, but Chloe will have to deal with it, like it or not. The Summoning will delight horror fans as Chloe explores the hidden depths of Lyle House. 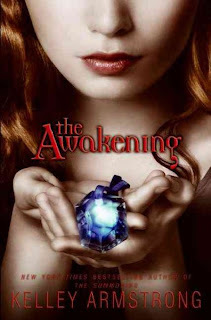 The story continues with the second book of the Darkest Powers, The Awakening.